W H AT D E G R E E C A N I E A R N F R O M MISSOURI SOUTHERN? What you’ll discover is that Missouri Southern is more than just classrooms and textbooks – it’s a thriving community. See the world while in school! More than 1,300 students at MSSU have taken the opportunity to study abroad over the past 10 years. Research shows that students who live on campus and get involved in campus activities, on average, earn better grades and have a higher level of satisfaction with their college experience. Students have a choice of several room options, including traditional dorms, apartments, suites and quads. All of the housing options come with separate parking, free Wi-Fi and access to a Bluray DVD movie theatre and game room. There are plenty of ways to get involved with campus life, from joining a campus club or one of our sororities and fraternities, participating in intramurals, or attending one of the dozens of free events sponsored by the Campus Activities Board each semester. Our partnerships with 11 schools around the world allow you to pay the same tuition as at Missouri Southern! University Academic Transfer Scholarship $1,000 per year Transfer scholarships are renewable for up to 6 consecutive semesters if criteria are met. FA F S A To receive federal, state or university aid, students must first submit their Free Application for Federal Student Aid (FAFSA). Apply at: fafsa.ed.gov For the Fall Semester, the deadline for submission is Feb. 1. For the Spring Semester, it’s Nov. 1. Use the following School Code when applying: 002488 For more information, contact the Financial Aid Office at 417-625-9325 or email FinAid@ mssu.edu. LION PRIDE TUITION In-state tuition is no longer just for Missouri residents. 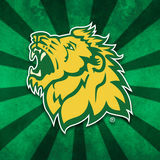 Students from all states in green receive our in-state tuition rate at MSSU through Lion Pride Tuition! Lion Pride residents can apply for scholarships, as well. C O S T O F O N E Y E A R AT M O S O Estimated cost for a full-time, on-campus student TUITION Missouri/Lion Pride Tuition Residents: $6,968 | Non-Residents: $13,935 ROOM AND BOARD Traditional Style Dorm - Option A Meal Plan: $6,364 B O O K R E N TA L S $14 per Credit Hour (30 cr. 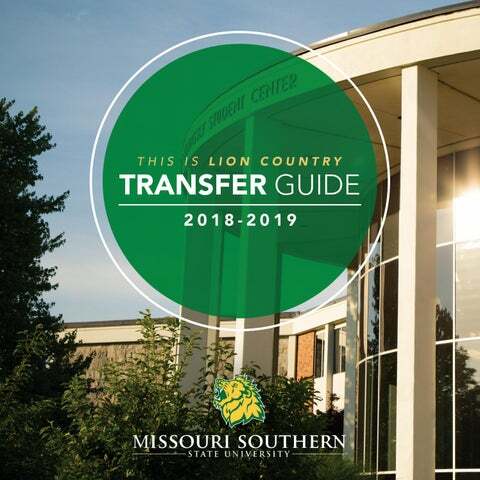 hrs): $420 T O TA L Missouri/Lion Pride Tuition Residents: $13,752 | Non-Residents: $20,719 The estimated cost is based on 2018-19 rates - a student being enrolled full time – 15 credit hours per semester, 30 credit hours per academic year – and living in a traditional double room with 23 meals per week. 15 hours at a Missouri two-year institution and cannot already possess an Associate’s degree or higher. Learn more here: mssu.edu/student-affairs/registrar/mrt.php.